Located on Station Road in Newbridge, our physiotherapists can treat your injury with effective treatment and care. We have a great team of Chartered Physiotherapists in our Newbridge Clinic waiting to help you. With us you can be confident you are in good hands as we only employ fully qualified, licensed and insured Chartered Physiotherapists. We also promise an excellent experience with no waiting lists, no hanging around and no excess talking or confusing jargon. So let us help you feel better, it's what we are here for. Our Newbridge clinic is located within Newbridge Medical & Dental Primary Care Centre, Station Road, Newbridge, Co. Kildare. Nicola graduated with BSc. ( Hons) Physiotherapy from Queens Margaret University in 2010. 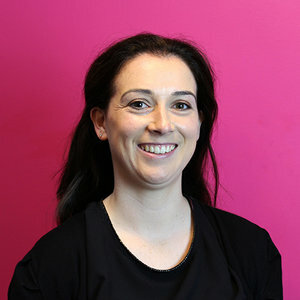 She is a fully Chartered Physiotherapist with current membership of the ISCP (Irish Society of Chartered Physiotherapy) and of the Chartered Society of Physiotherapists in the UK. She has completed further training in acupunture with the AACP ( Acupunture Association of Charted Physiotherapists), Pilate with the APPI ( Australian Physiotherapy and Pilates Institute) and taping with the ACPSEM ( Association of Chartered Physiotherapists in Sports and Exercise Medicine) amongst others.